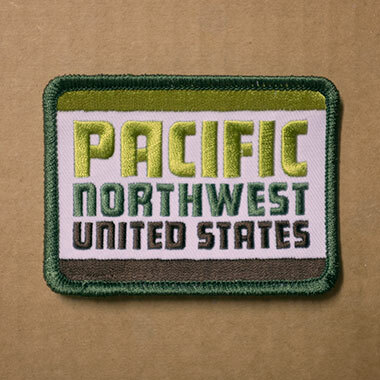 Draplin Design Co.: DDC-005 "Pacific Northwest United States Patch"
Pacific Northwesterners! You bought the hat, but kept asking for the patch on its own. And we deliver! Act now! 03. 3-3/8�€ wide and 2-1/2�€ tall. 04. Big, thick-lined characters. Like that Pacific Northwest! 05. Manufactured by our fellow patriots at Brewery Outfitters. Thanks!